Mix together all the ingredients and add one 24 oz bag of chocolate chips. Make golf ball-sized balls of dough and place them 2” apart on a cookie sheet lined with parchment paper. 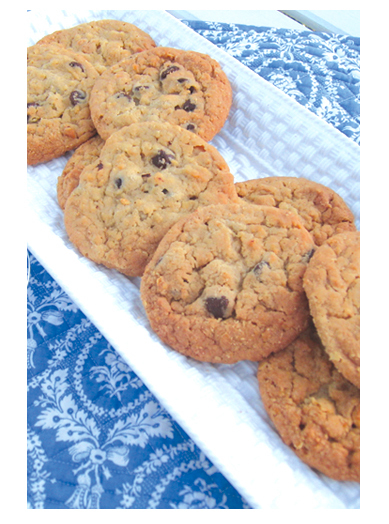 Bake at 375° for approximately 6-8 minutes for a “doughy” cookie or longer if you desire a crisper cookie. Makes approximately 90 cookies.